Happy Halloween! You’d think since I spend about 3 months focused on nothing but Halloween and costume making that I’d totally be done but I’m so excited for Halloween. 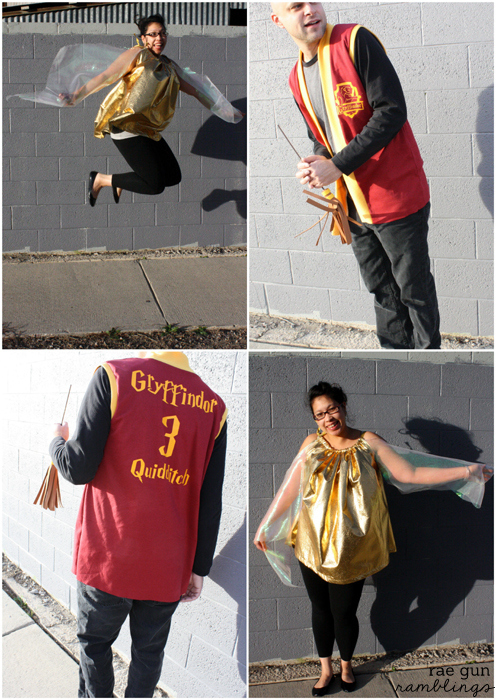 Since many of the parties were last week I was forced to get Halloween stuff done early so I actually was able to make stuff for me and the hubby – Harry Potter Snitch and Quidditch Player costumes. And that’s perfect since it’s time for another Sew Our Stash show and tell. 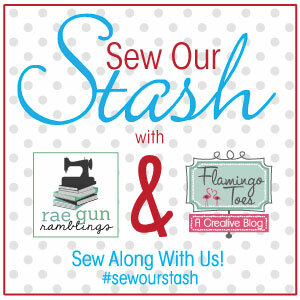 Sew Our Stash is the monthly series that I do with Bev from Flamingo Toes. We have each challenged each other to make stuff for ourselves. It’s been wonderful having the accountability! And we’d love you to join in. We share our creations on our blogs the last Thursday of the month but throughout the month we tag our Instagram pictures with #sewourstash and it’s so fun to see others doing so as well. I hope it’s okay that I’m going to share my husband’s costume too. I know it’s not technically for me to wear but let’s be honest his costume is completely for me, he really has no internal need to dress up and is just being a good sport. Luckily after years of my costume excitement he does enjoy it! These were SO easy. I made both of them in under 2 hours. 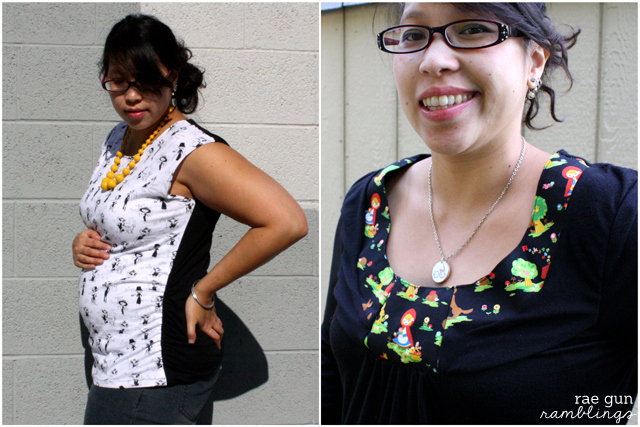 From cutting out the fabric, sewing, making the iron-ons and all of it. 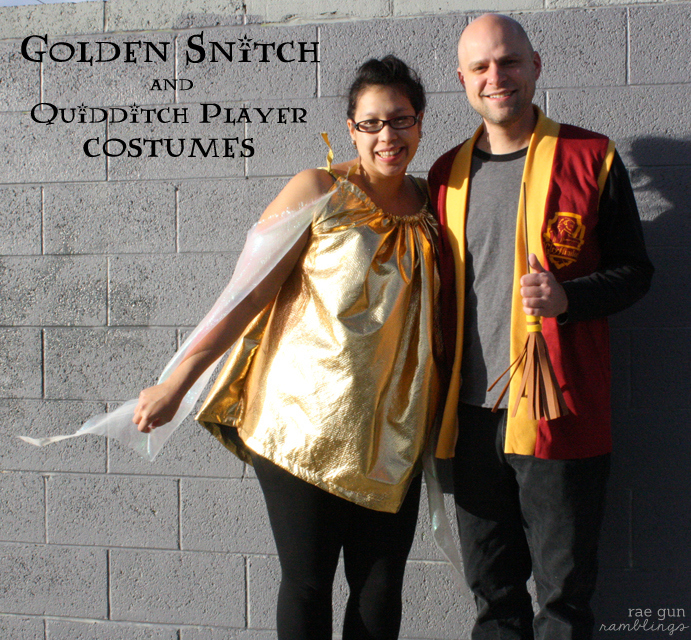 I know I’m a speedy sew-er but really these are EASY costumes. I took pictures along the way for both of these and I’ll be sure to share tutorials. Today I just have these to share but I’d say that’s a HUGE success considering it was my insane-o busy time with the shop (I made and sent out hundreds of baby costumes) plus I did make a couple shirts that I already blogged about for a few pattern tours. But now that things have calmed down in the shop and since I have barely any clothes that fit I’m super excited to get more made for myself. Hope you have something fun planned for Halloween. And don’t forget to stop by Flamingo Toes and see what Bev has been up to this month! 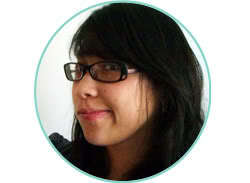 So cute Marissa!! I love your costumes – you look adorable! The last picture of you two is my favorite! You are darling! 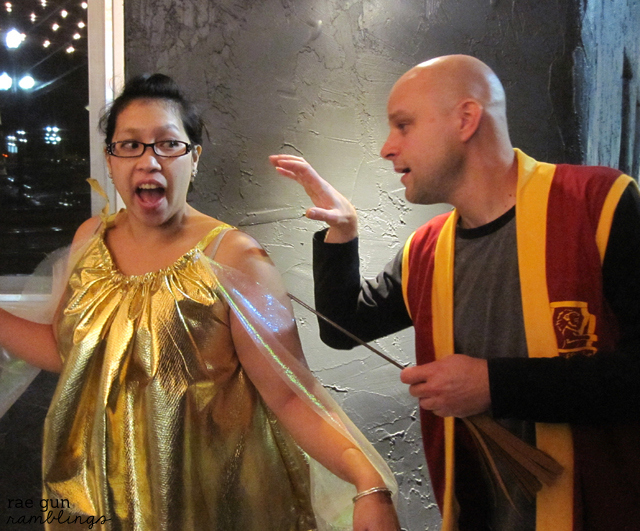 As an avid HP fan, I love these costumes! They definitely go together. My daughter wore your HP set- I’ll be sure to send you the link when I post about it (I will credit you, of course!). Have a Harry Halloween! Oh my gosh, YOU ARE A SNITCH! This is my favorite halloween costume EVER! *hands clapping* Great job, Marissa. And you’re so cute! oh Caila you’re too nice. Glad you like them. It was super fun to wear I even walked in Barnes and felt like a proud little geek. awww thanks so much Jess! Oh my goodness! That is just too awesome! Way to go! You are seriously the cutest. I never would have thought of being a snitch! It looks good on you! AHH! I just adore his miniature broom! You two are just so stinkin’ cute! I ADORE these costumes!!! You’re seriously so creative!!! Oh Marissa I am just loving this costume – what a clever idea!!! Thanks for linking up to my linky party! Did you ever post this tutorial! Love it so much! Hoping to do it by halloween this year! Sorry I missed this. ANd no I still need to do that epp time flies!